Specific non-traditional additives for the shear, heat and carbon produced by firearms. High Corrosion protection. Light weight viscosity while maintaining high sheer strength, reducing friction and increasing adhesion, creating much higher film strength than common, traditional technology and claims. Formulation is a “liquid plastic” through polymerization, forms a durable long-lasting plating on all surfaces. -35º Pour Point. Does not build up, does not become sticky or gooey! Waterproof. 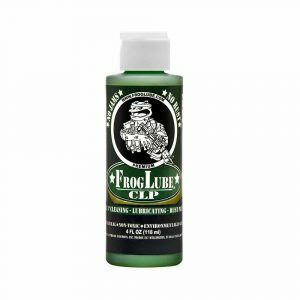 This is not a CLP, just the best gun oil. See also our Formula 5 Cleaner. Brothers & Arms® TRUE BLUE Gun Oil has a very low coeffcient of friction due to: Polymerization, their MRCC technology, it’s wetting ability, molecular plating of all surfaces, contact points, and moving parts through heat and pressure. TRUE BLUE Gun Oil will reduce attrition in high wear areas. 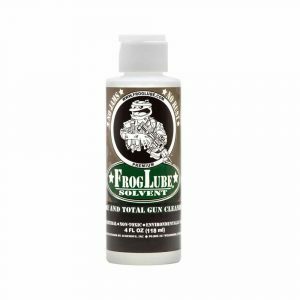 Does not build-up or create a sticky substance which inhibits smooth action of firearm components. Don’t be confused by the high flash point as other brands claim in their marketing. Because of the minimal volume of lubricant present in a fire arm, lower flash point is insignificant. As TRUE BLUE Gun Oil is introduced to heat, the flash point increases as the polymerization develops and the lube starts to become a solid. This is where the uniqueness of Dumonde Tech’s technology really starts to differentiate itself from all other brands. Odorless. It does not smell good or bad. High corrosion protection for short and semi long term storage. Water Proof. 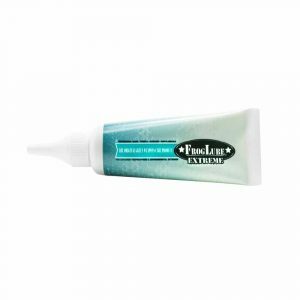 Protects against salt water exposure directly or atmospheric.